Affinity/Pink Rhino custom team edition frame sets! 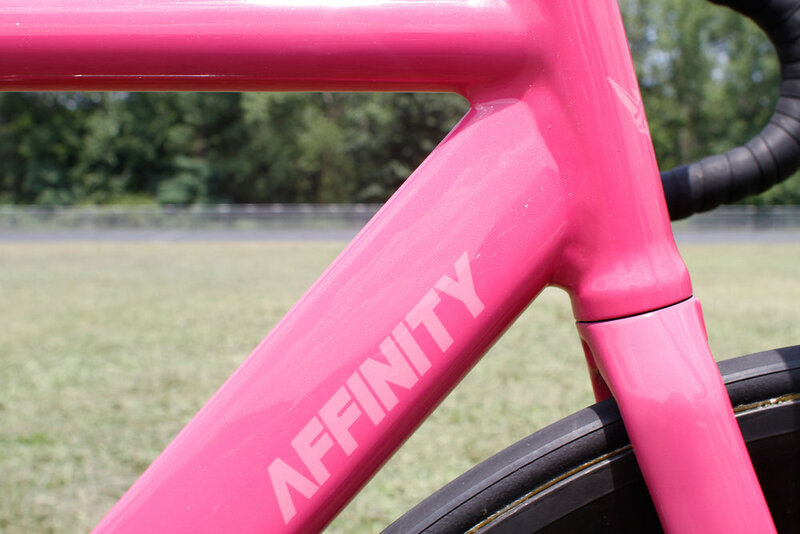 Affinity is proud to share the 2016 Affinity Pink Rhino team edition Kissena aero track frame sets. Want one? Sorry you've gotta be a Rhino team member to get your hands on one of these custom painted jems. That said... if you're looking to have custom team frames in 2017, hit us up and we'd be stoked to custom paint a team edition set of Kissena's for your crew! Super stoked on how these frames came out... Horse Cycles and Ben Faclon killed it on the custom paint!